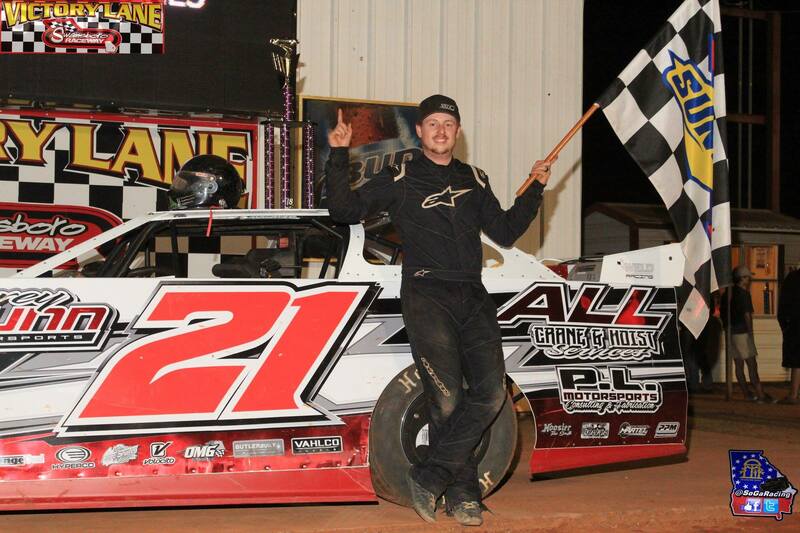 ODOC, SC – The Ultimate Super Late Model Series Southeast Region rolled into the 4/10 mile oval known as Modoc Raceway located in Modoc, South Carolina Saturday for the Annual “Jack Starrette Memorial” event worth $5,022. The event was co sanctioned with the Carolina Clash. It was an action packed event to say the least. Ultimate Southeast 2018 current points leader and defending Series Champion Tyler Millwood of Kingston, Georgia battled through traffic and held off challenges from Ross Bailes in the closing laps to led flag to flag in Saturdays “Jack Starrette Memorial” event to earn his first career Ultimate Super Late Model Series and Carolina Clash victory. Ross Bailes, John Henderson, Cla Knight, and Joey Coulter rounded out the top five finishers. Michael Page set fast time in qualifying with a time of 16.810 seconds. Heat race winners included Anthony Sanders and Brent Dixon. The Ultimate Super Late Model Series Southeast Region will be back in action again on Saturday May 5th as the Series will travel to Laurens, South Carolina to Laurens County Speedway for the 2nd Annual “Ronnie Brookshire Memorial” event paying $4,014 to win. For more information on the ULTIMATE Super Late Model Series visit www.ultimatesupers.com or call (864) 871-1442. ULTIMATE Supers are also on Twitter at @ULTIMATESupers Instagram @ULTIMATE_Supers and on Facebook at Ultimate Super Late Model Series.